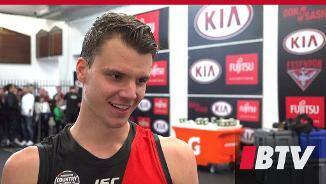 Rising youngster Jordan Ridley shares his answers to some light-hearted questions. 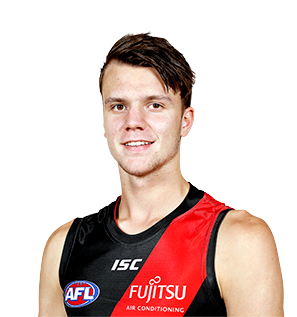 Jordan Ridley says he is confident Essendon’s new tactical systems will yield positive results soon after the Bombers fell narrowly short to Carlton. Composed and courageous utility who broke through for his senior debut in 2018 and impressed with his class and confidence at the top level. 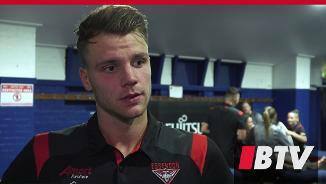 Ridley spent most of his debut sweeping comfortably across half-back against Geelong in round nine, gathering 25 disposals in a terrific performance that provided an insight into the exciting future of the 20-year-old. A poorly timed minor knee injury halted the young Bomber’s momentum just two rounds later, unfortunately holding him back from returning to the senior side as he played out the remainder of the year in the VFL. 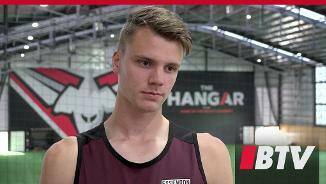 Despite being held to just three AFL games, Ridley clearly showed he is capable of thriving at senior level and will be keen to take his game to the next level in his third year at The Hangar.